Soften dried apricots in a bowl fo warm water for several minutes. Remove from water. 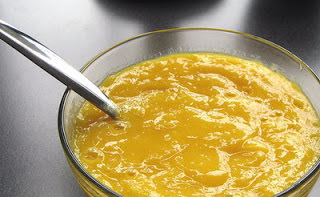 Combine apricots and powdered milk in a blender. Gradually add 1/4 cup water. Blend until the mixture has asmooth consistency; add more water if needed. Store unused mask in the refrigerator. Apply apricot mask evenly to face, avoiding the eye area. Leave on for 15-20 minutes. Wipe off with a soft damp cloth.